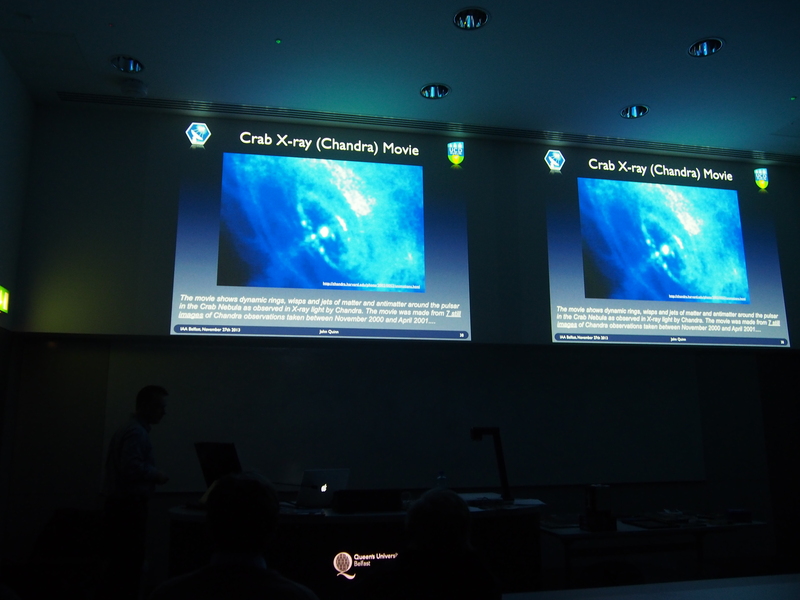 Im reading about radio astronomy at the moment so I enjoyed this lecture at the other end of the EM spectrum from Dr John Quinn at UCD. His work is imaging in X-ray and Gamma ray. Interesting that he refers to energies such as 1 TeV whereas the radio people work in wavelengths or frequencies. A very enjoyable evening – also met Dr Kate Russo who is a serial solar eclipse chaser! Pleiades, Sun Eclipse and ISON. I have just started to use a much more detailed app – Sky Safari 3 Pro. 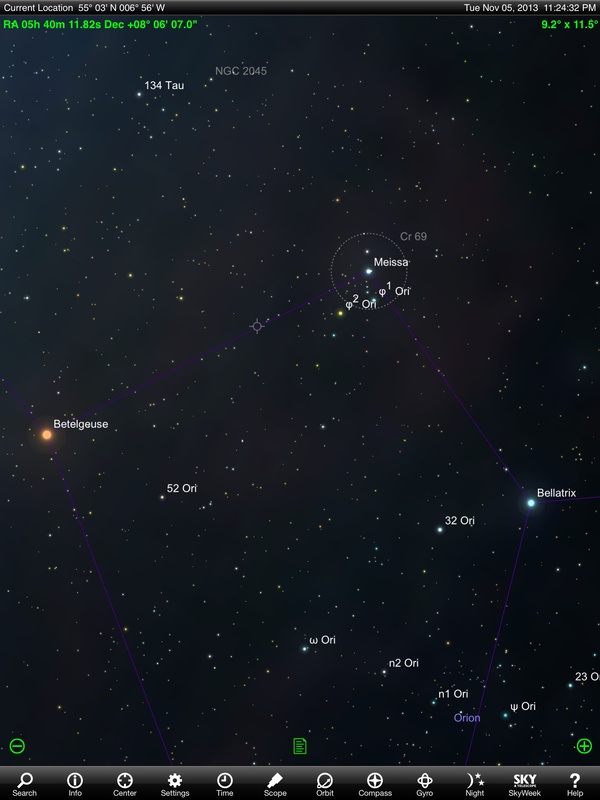 Its as easy to use as the others but gives much more detail and lists many more catalogues than just the standard Messier, Caldwell and NGC/IC listings. It also allows you to save a list of targets for later review. Id never heard of the van den Burgh or Cederblad lists before! I bought a small Vixen wedge that allows me to attach my camera directly to my Ioptron mini-tower 2 mount. 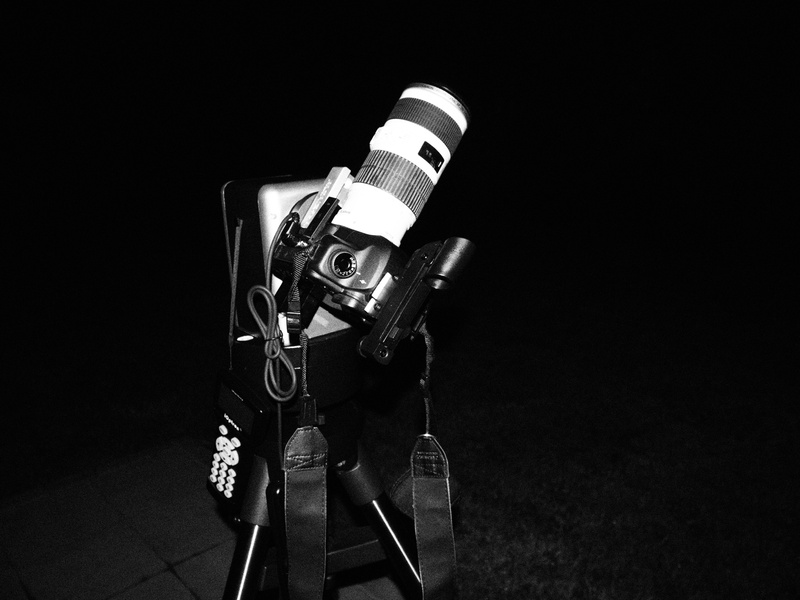 This means the camera can “track” stars allowing much longer exposures than could be achieved with a tripod. I tried this out last night with a Canon 5D mark II and a 70-200mm f4 IS L lens – it worked reasonably well. I had to be careful about focusing but the biggest problem was a circular orange artefact in the middle of every image. I didnt bother to put the lens hood on and maybe the problem was related to this (I researched this – it’s just vignetting – camera lenses aren’t really designed for low light long exposures. Also I had the lens wide open at f4 whereas it’s recommended it should be shut down by even 1 stop for sharpness and to avoid vignetting). I tried to stack a few images in Registax 6 but it seemed to struggle with the 5000 x 3000 pixel files – perhaps using smaller jpegs might be better. The image below is just a small part of the much larger widefield images that were taken. 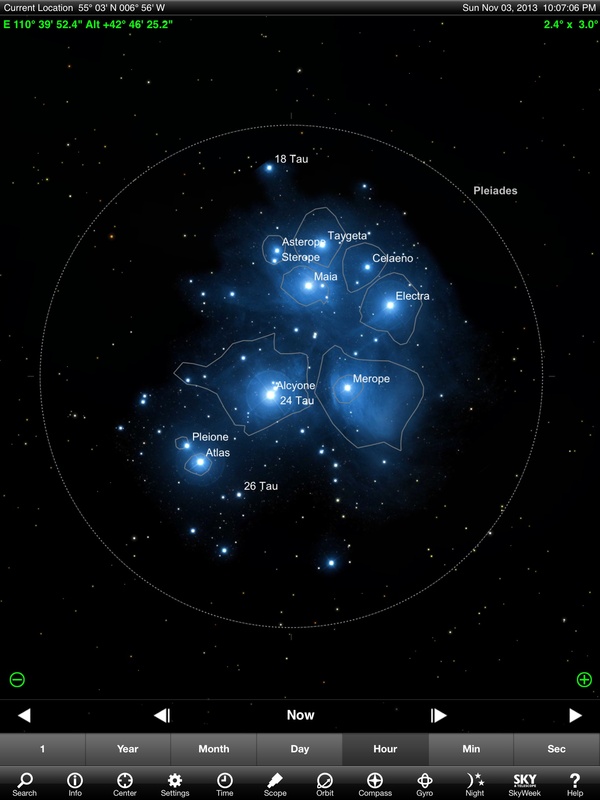 There is just a hint of nebulosity seen around the lower two stars in the cluster. Happy for a first effort but a long way to go. 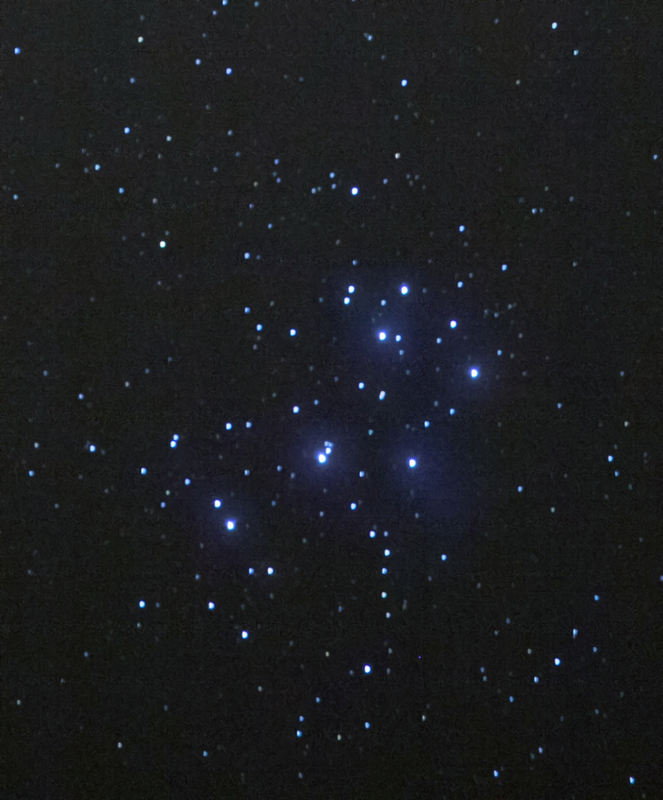 Pleiades Open Cluster M45. Nebulosity increased using exponential transform function in PixInsight.